A group of rare Asian butterflies which have once inspired an association with Hindu mythological creatures have been quite a chaos for the experts. In fact, their systematics turned out so confusing that in order to decode their taxonomic placement, scientists had to dig up their roots some 43 million years back. Now, having shed new light on their ancestors, a team of researchers from the Biodiversity Institute of Ontario at University of Guelph, Agriculture and Agri-Food Canada and University of Vienna, published their findings in the open access journal Zoosystematics and Evolution. Together, Drs. Valentina Todisco, Vazrick Nazari and Paul Hebert arrived at the conclusion that the enigmatic genus (Calinaga) originated in southeast Tibet in the Eocene as a result of the immense geological and environmental impact caused by the collision between the Indian and Asian subcontinents. However, the diversification within the lineage was far from over at that point. 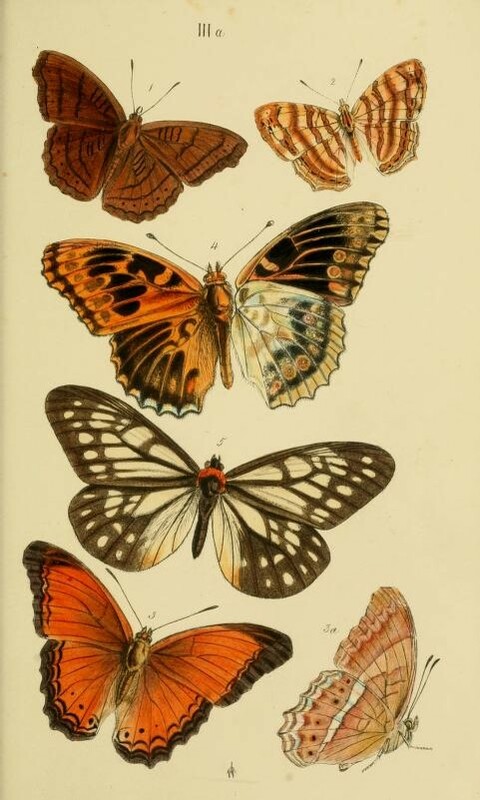 In the following epochs, the butterflies had to adapt to major changes when Indochina drifted away, leading to the isolation of numerous populations; and then again, when the Pleistocene climatic changes took their own toll. To make their conclusions, the scientists studied 51 specimens collected from a wide range of localities spanning across India, South China, Laos, Vietnam, Myanmar and Thailand. For the first time for the genus, the authors conducted molecular data and combined it with an examination of both genitalia and wing patterns – distinct morphological characters in butterflies. While previous estimates had reported existence of anywhere between one and eleven species in the genus, the present study identified only four, while confirming how easy it is to mislabel samples based on earlier descriptions. However, the researchers note that they have not sampled specimens from all species listed throughout the years under the name of the genus, so they need additional data to confirm the actual number of valid Calinaga species. The authors are to enrich this preliminary study in the near future, analysing both a larger dataset and type specimens in collaboration with the Natural History Museum of London that holds the largest Calinaga collection. 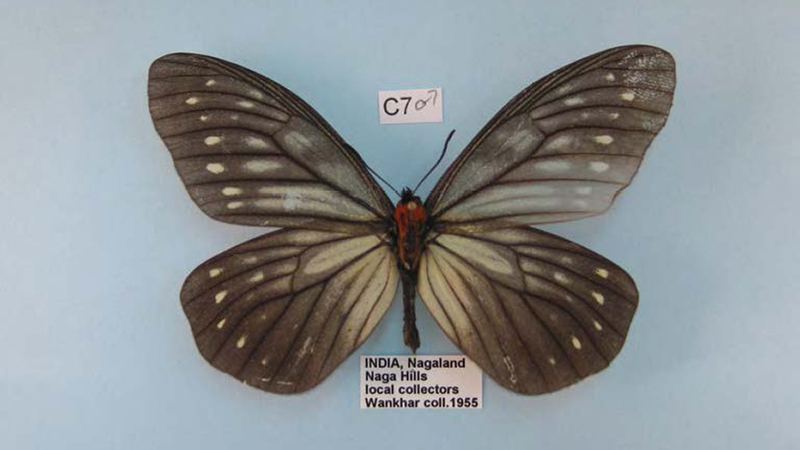 Despite being beautiful butterflies, the examined species belong to a genus whose name derives from the Hindu mythical reptilian creatures Nāga and a particular one of them – Kaliya, which is believed to live in Yamuna river, Uttar Pradesh, and is notorious for its poison. According to the Hindu myths, no sooner than Kaliya was confronted by the major deity Krishna, did it surrender. “It seems that the modern taxonomy of Calinaga is in need of a Krishna to conquer these superfluous names and cleanse its taxonomy albeit after careful examination of the types and sequencing of additional material,” comment the authors.